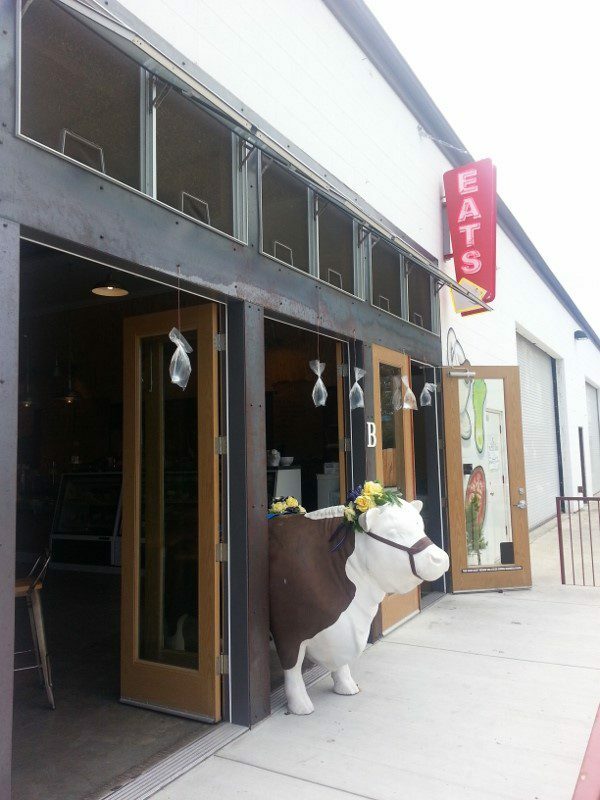 Everyone was talking about it……Industrial Eats. “Have you been?” “You should go.” “Can we get in?” “Let’s meet there early.” Apparently this is the hot spot in Buellton! 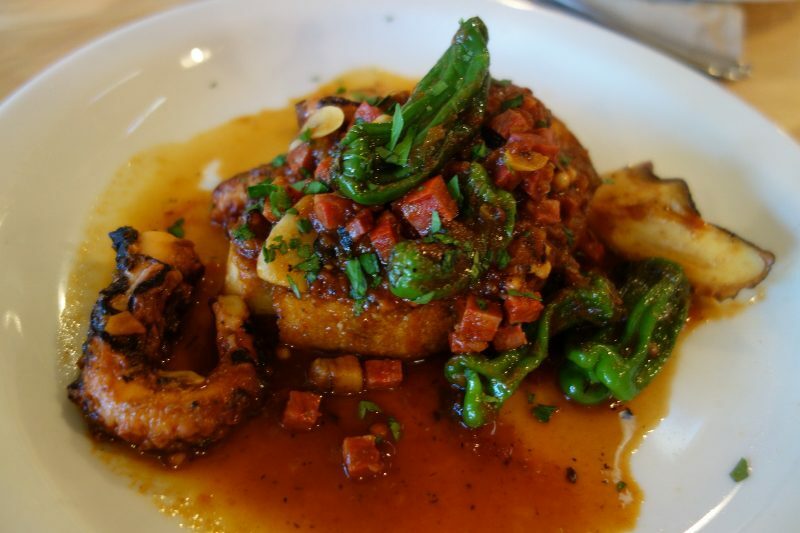 I had driven up to Buellton in Santa Barbara wine country from Los Angeles for the Wine Bloggers Conference and was hungry. 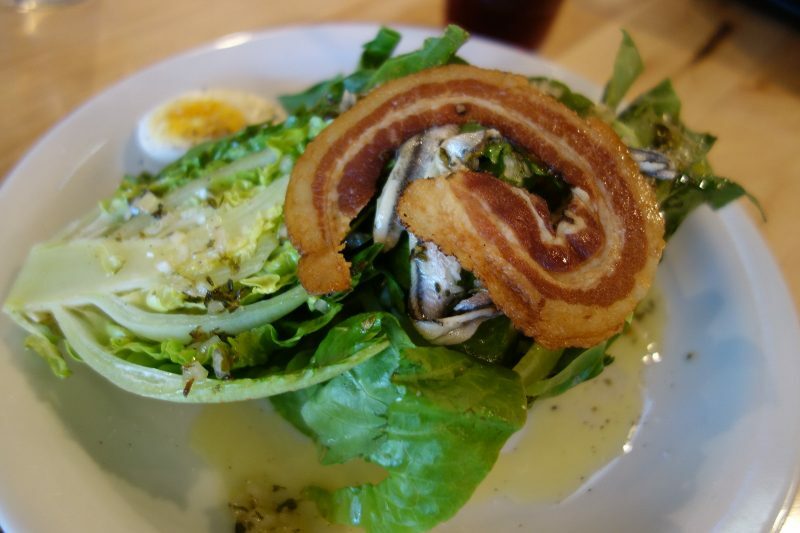 Located less than a 5 minute drive from the Santa Ynez Marriott Hotel, I was excited to hear that I wasn’t going to have to have pea soup or fast food or drive further to find good food. I decided to go early to beat the crowd, not knowing what to expect. 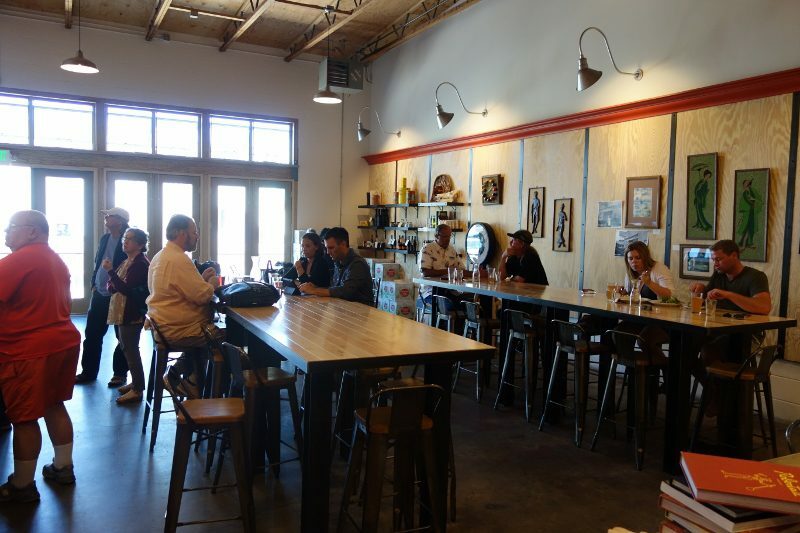 Tucked in behind owner Jeff Olsson’s main business, New West Catering, Industrial Eats is located in a an industrial park that is home to Ascendant Spirits, Figueroa Mountain Brewing Company and Avant Tapas and Wine. The space is open, bright and modern with long communal tables and an open kitchen. 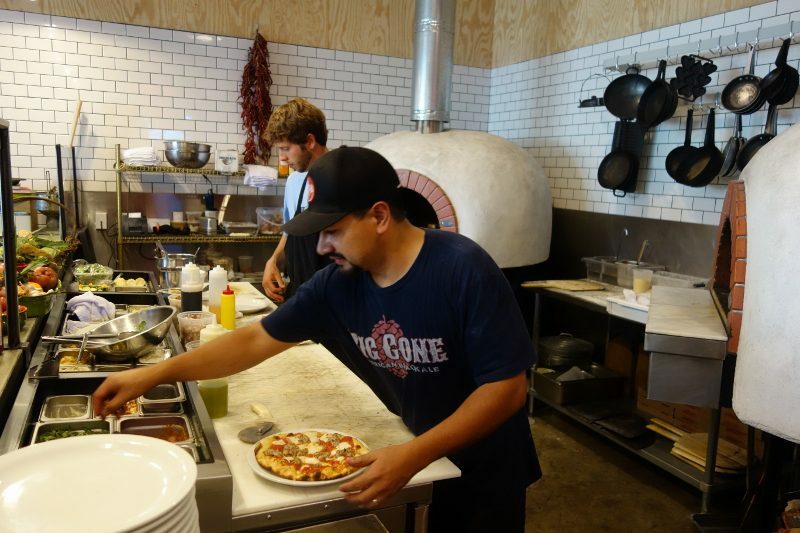 Two huge wood-burning pizza ovens line the back wall as the cooks work the pizza line. 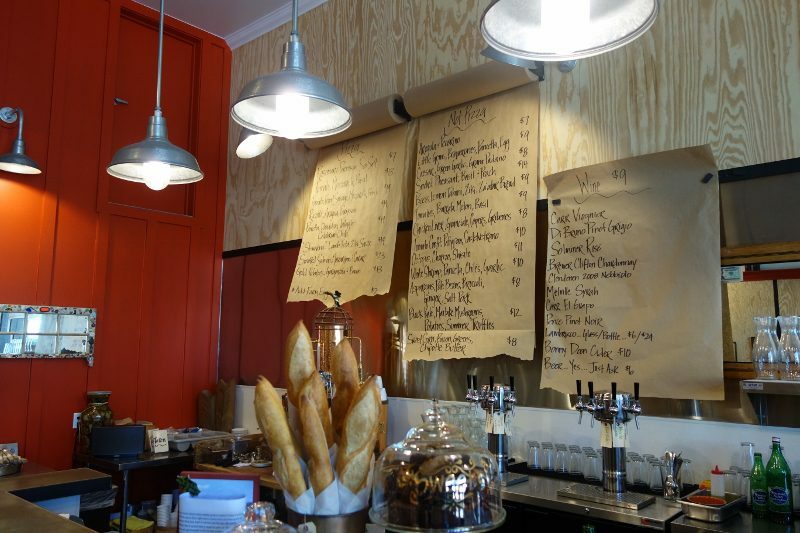 The menu is hand-written on large sheets of brown butcher paper that hang on the wall. 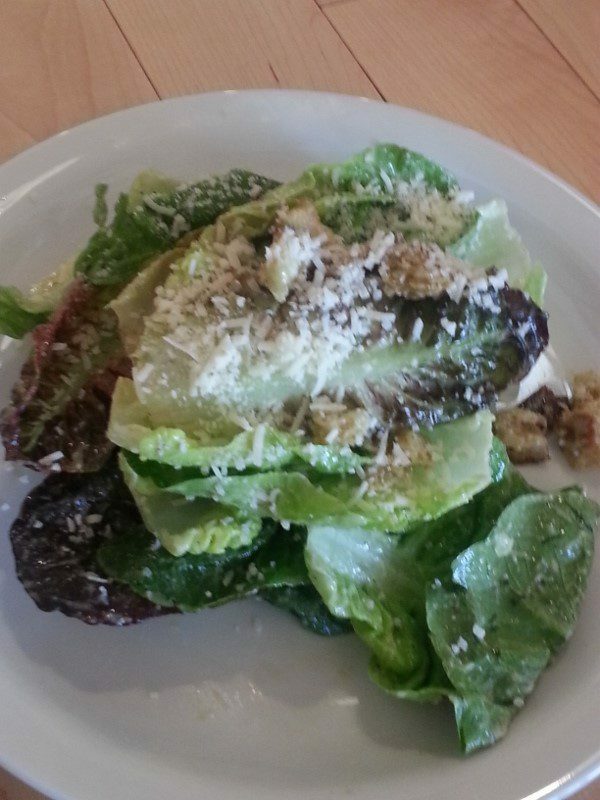 The menu features local, seasonal ingredients and when they run out of an item, they are able to tear off the butcher paper and add something new to the menu. 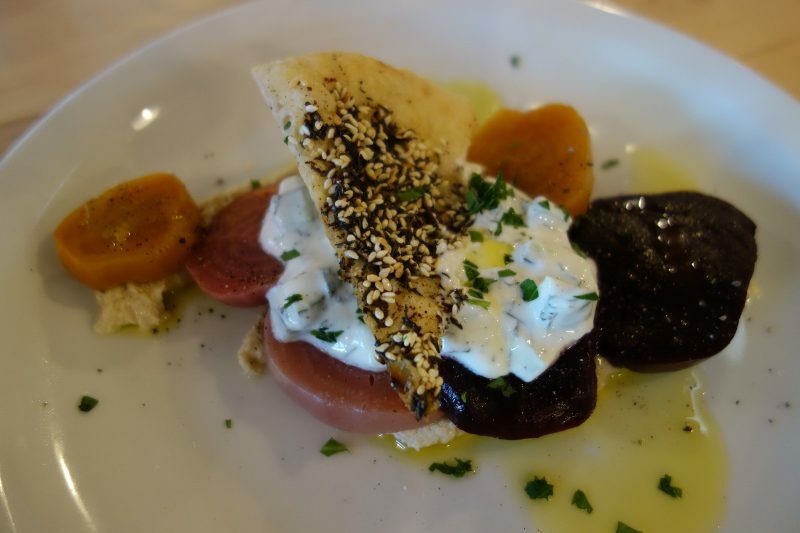 Beets, Lemon Tahini, Ziki, Za’atar Bread – An eclectic appetizer, the beets were sweet and tender and a perfect start to the meal. 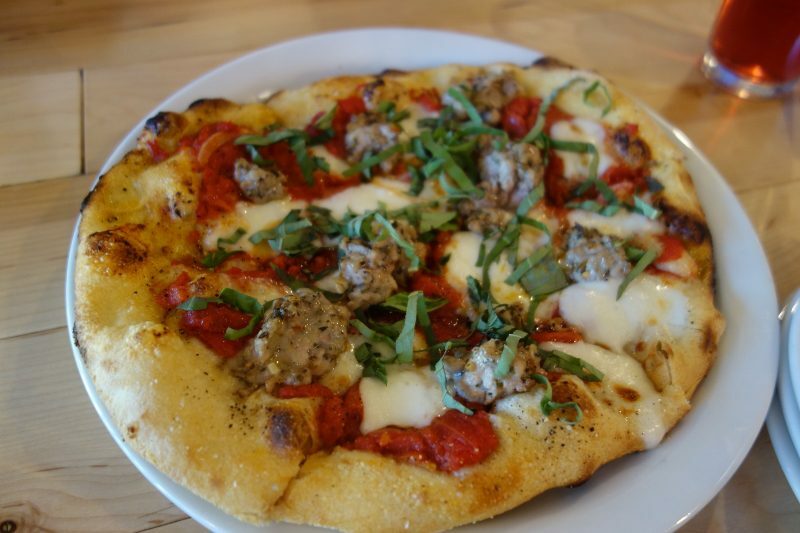 The pizzas are individual sized, but it’s also fun to order a few and share with friends. 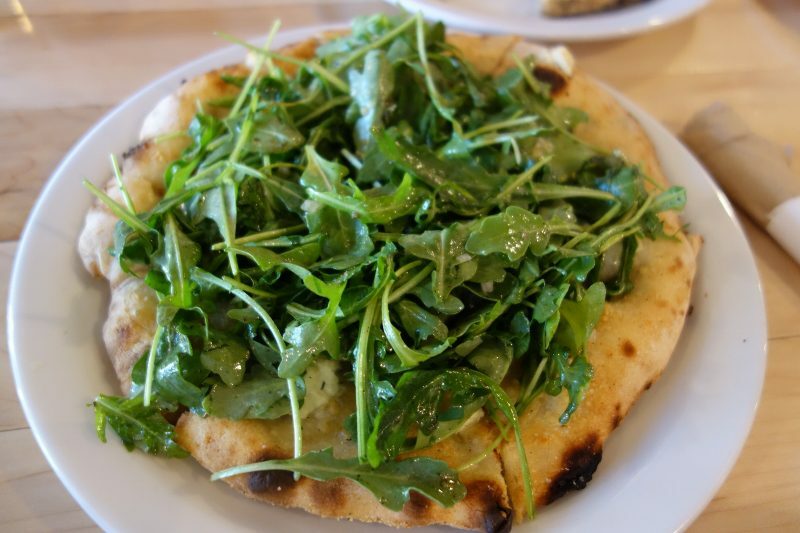 My favorite was the Ricotta, Arugula, Parmesan Pizza. 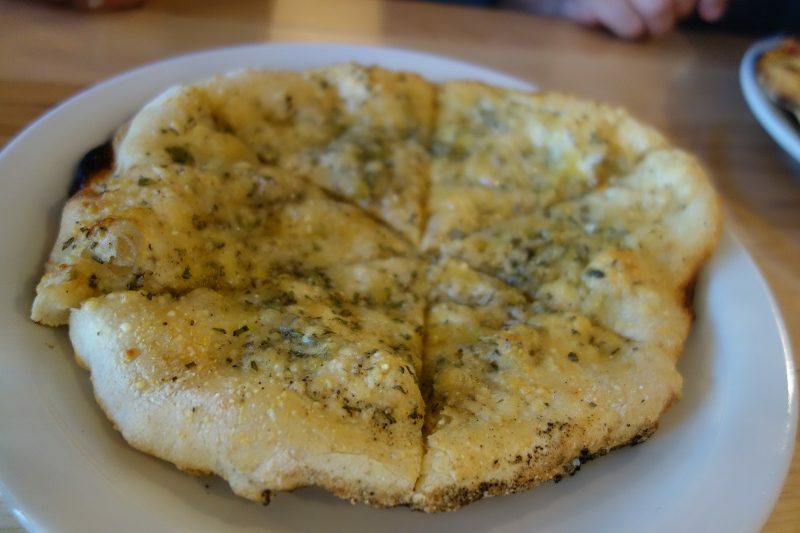 How can I not love something with ricotta and freshly baked pizza dough that was just bread-y enough. 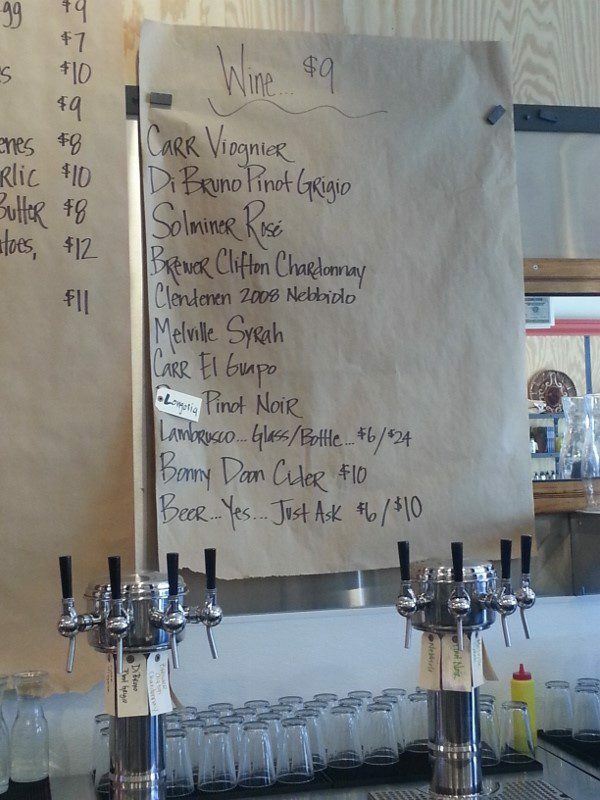 The wine selection is from local producers and the wines are available on tap. 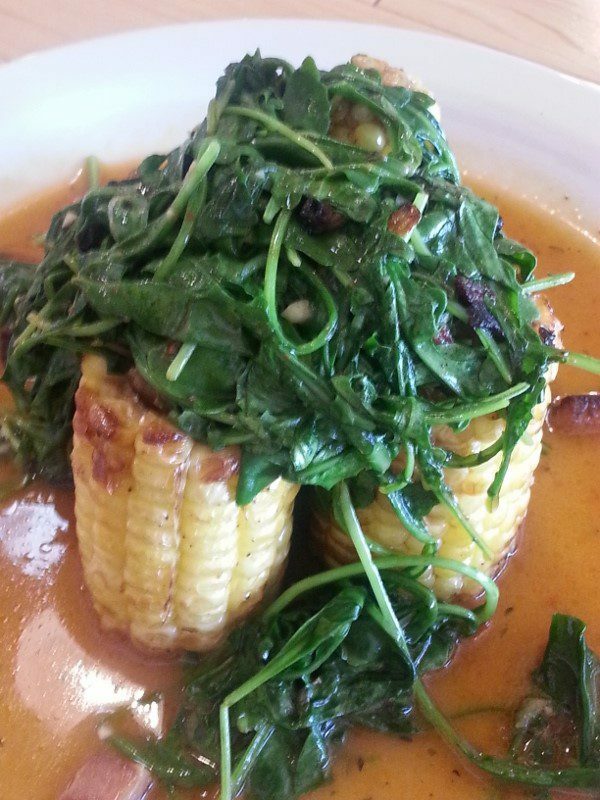 Whether for lunch or dinner, Industrial Eats is a must stop in between wine tasting! This entry was posted in Food, Wine and tagged Buellton, Industrial Eats, Jeff Olsson, pizza, Santa Barbara, wine on tap by Allison Levine.